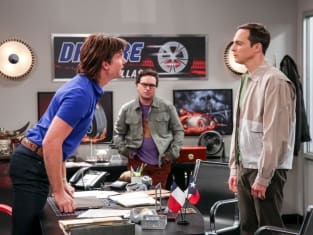 Did Sheldon manage to make peace with Georgie? That was revealed on The Big Bang Theory Season 11 Episode 23 when Mary admitted she would not be attending the wedding if the brothers were not friends. This made Sheldon take an impromptu trip to Texas to try and fix things before it was too late. Meanwhile, there was a big argument when the Wolowitz kids gave Amy, Bernadette, Wolowitz and Koothrappali pinkeye. Use the video above to watch The Big Bang Theory online right here TV Fanatic. CBS Cheat Sheet: What Will Be Renewed? Get caught up with all the latest laughs right now.